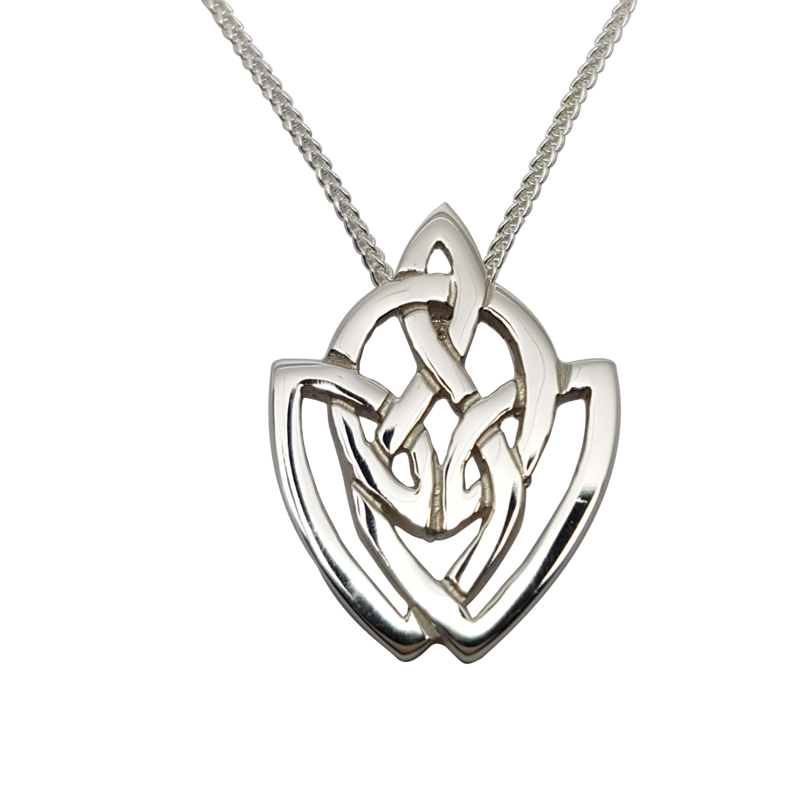 Our Sgiath pendant was given it’s name due to it’s shield – like design, ‘sgiath’ meaning ‘shield’ or ‘wing’ in Gaelic. The Isle of Skye is famously known as ‘The Winged Isle’. This open knot-work Celtic pendant is made exclusively by Love from Skye on the Isle of Skye and measures 27mm x 20mm, with an 18 inch spiga chain.